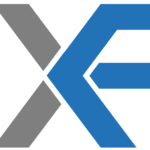 I set up my company Xcel Finance to think differently about finance! I'm passionate about putting clients first and finding new ways to make life easier when getting finance. Its a complex, frustrating process and our approach is made to measure which aims to take the hassle out of the process and get the best solution for our clients' needs. Contact us today on 07791 792475 or visit www.xcelfinance.co.uk Prior to Xcel - I spent 10 years in the residential energy and insurance industries, leading commercial and strategy teams. While I still consult in these markets, my primary focus is running Xcel, and my property investment business.